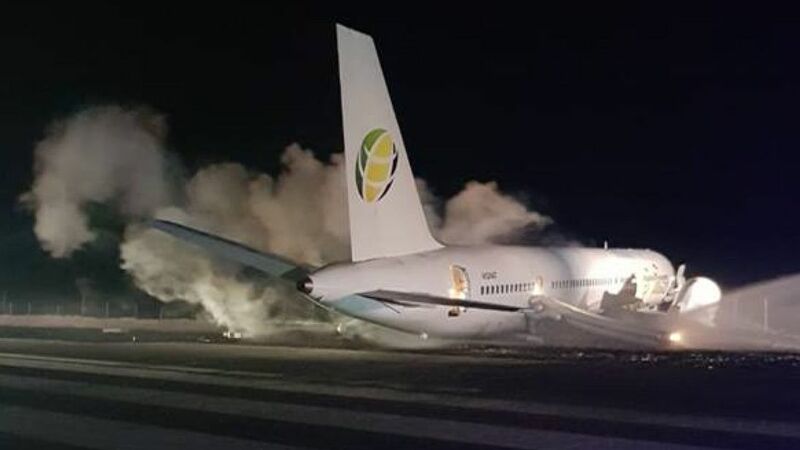 Six people were injured after a Fly Jamaica plane on a flight from Guyana to Toronto crash landed overnight at Guyana’s Cheddi Jagan International Airport. Flight OJ256 left from Cheddi Jagan International Airport, near the Guyanese capital of Georgetown, with 120 passengers — including two infants — and eight crew aboard shortly after 1 a.m. ET. Eighty-two of the passengers are Canadian citizens, according to local media reports that cited David Patterson, Guyana’s minister of public infrastructure. About 11 minutes into the flight, the pilot indicated the Boeing 757 was experiencing problems with its hydraulic system, Guyana officials said at a Friday morning news conference. The aircraft returned to Cheddi Jagan, where it crash landed, leaving the runway. The flight, which was estimated to arrive at its designation at 6:55 a.m., returned to the CJIA airport where it landed at 2:53 a.m.
All I would say now is that the pilots did and excellent job in getting the ailing plane back to the runway, and the cabin crew got everyone out promptly before the plane was doused to prevent the outbreak of fires. Wow, Cyril, I read the news earlier! Had no idea that you were also on that flight. Glad to hear that there were no casualties. Good to know that you are well, Cyril. Kudos to the pilots and the best news is that there is no casualty. Your Pomeroon mission must gave been exciting and we look forward to reading abut it with pictures included. All the best. Glad to hear you are beck safely, Cy; as well as no casualty nor serious injuries to anyone. Your involvement with the medical team to the Indigenous area is admirable. Unfortunately, I also heard that ground staff at the airport ransacked and pilfered the passengers’ belongings. Hope it is false news; as if true it would blemish Guyanese reputation. Glad you’re safe, and didn’t know you were Canadian…I guess most of the rants I publish here would get unwanted attention by Canadian social interest buffoons. I could not fathom the irony of speaking to you in Guyana and then facing the possibility of a tragic end to your humanitarian efforts. 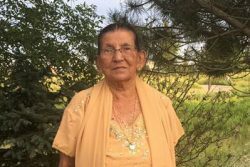 escaping with not only your life but with no resultant injuries is ample testimony to two facts– that the Good Lord is not ready for you, and no one goes before his time. Keep up the good work and may He who sees all and knows all continue to guide and protect you.